We welcome you to the International Joint Meeting on Thoracic Surgery, Barcelona 2009, that will take place in Barcelona, Spain, in November 2009. 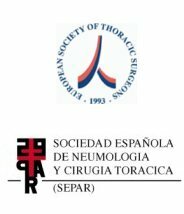 This meeting will be the combination of the 6th International Meeting on General Thoracic Surgery, the 5th International Workshop on Surgical Exploration of the Mediastinum and Systematic Nodal Dissection, and the 3rd Scientific Meeting of the Bronchogenic Carcinoma Cooperative Group of Spanish Society of Pneumology and Thoracic Surgery. The Joint Meeting 2009 shares features of the three meetings, and will consist of brief presentations encompassing a variety of topics in general thoracic surgery and lung cancer, with special emphasis on lung cancer staging. Every day, lectures will be preceded by video presentations highlighting the most important details of both time-honoured procedures and new surgical techniques. The Joint Meeting 2009 will take place in the centre of the Gothic Quarter in Barcelona, within walking distance to its most emblematic buildings, such as the Cathedral, St. Maria del Mar Church, and Picasso Museum, and not far from the buildings by Antonio Gaudi on Paseo de Gracia, and the water front at the harbour. Autumn in Barcelona is mild and you can anticipate pleasant walks in the city. We hope that you will honour us with your active participation in this Joint Meeting 2009. We are looking forward to seeing familiar and new faces among us. The Joint Meeting 2009 is organized for you. You will make it a real educational and scientific success. We count on you.